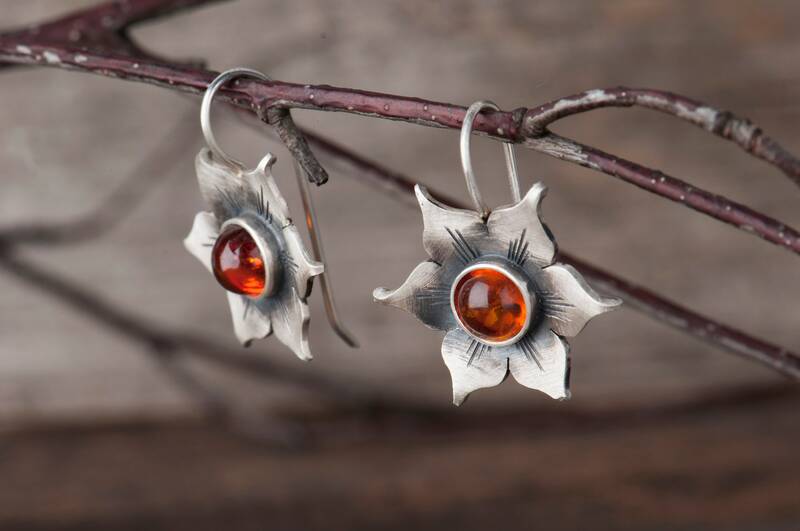 These floral earrings are a part of a set of amber jewelry, but they will look great also as a separate piece. 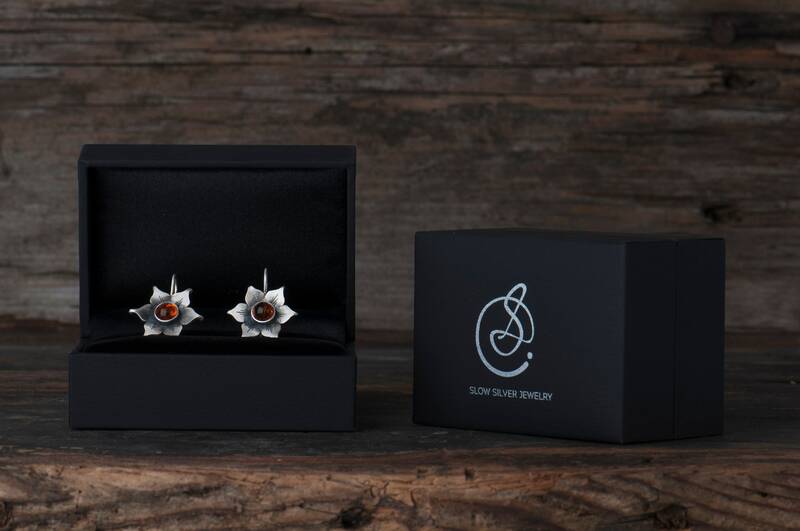 They fit casual and elegant outfit as well - they are a subtle but noticeable accent. 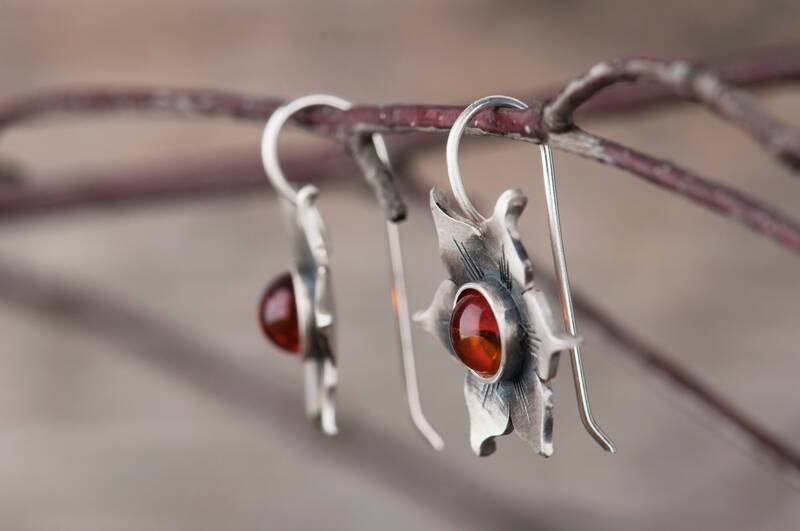 These amber earrings have a opening in the middle under the amber so the light can penetrate the stone and make delicate impressions on the skin. I decided to make this whole under the stone to make it brighter and show it's rich inner structure, unique for every gemstone. 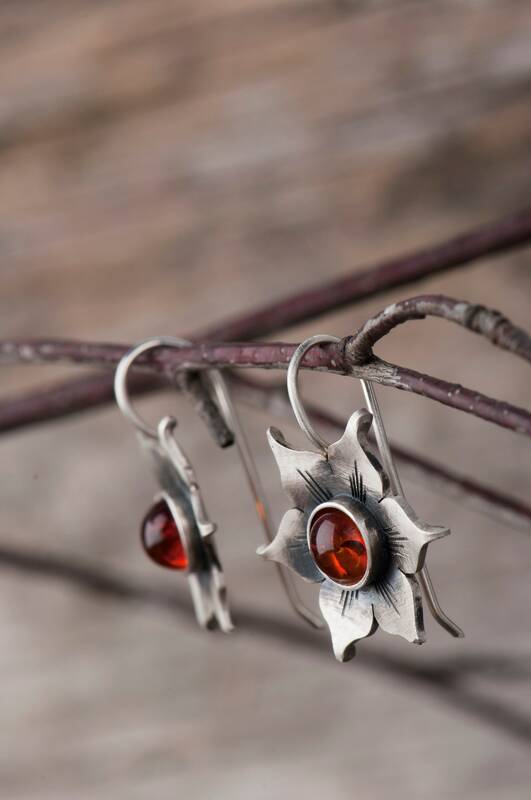 These amber jewelry will of course fit most girls and young women, but they can bring joy also to every person who admire nature. 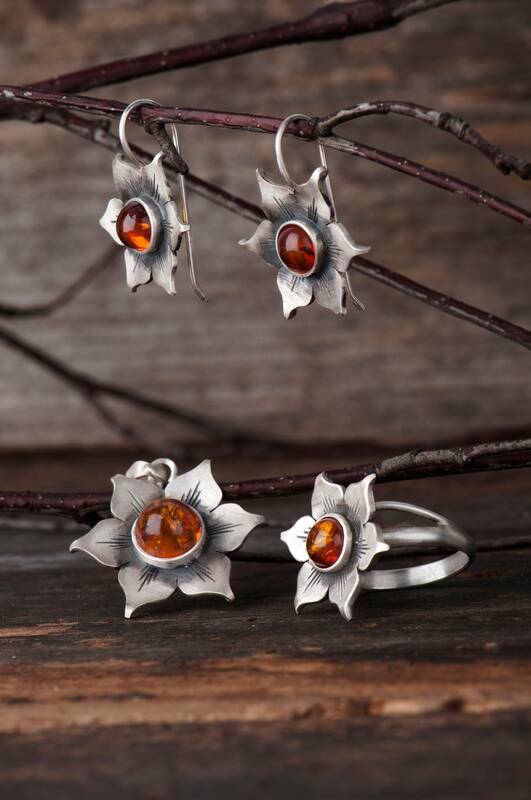 They will be a great gift for somebody who loves flowers. 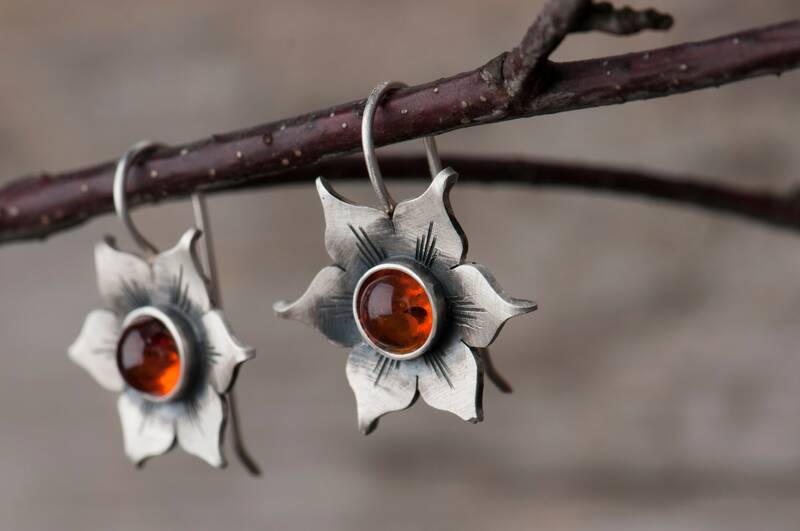 These amber earrings are handmade and it takes up to 7 days for me to finish them and ship. 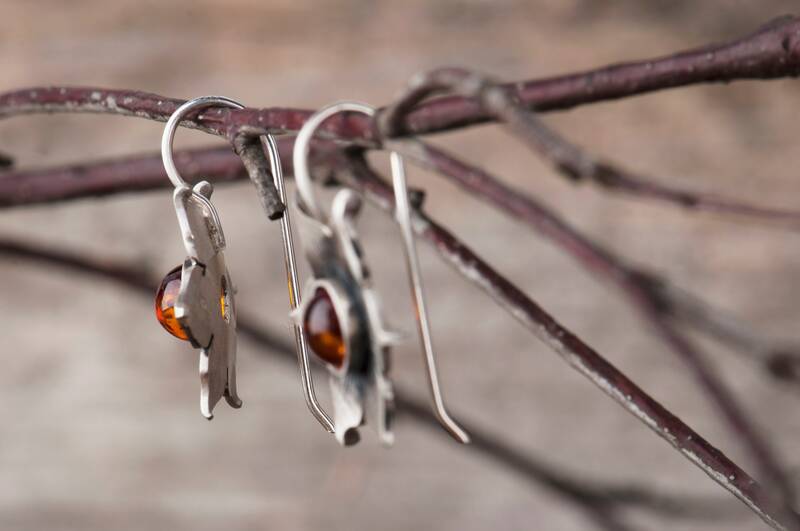 Please keep in mind that to make them I use only natural components and my jewelry is entirely handmade so no two pairs of earrings will be the same. And that's why every handmade item is unique. 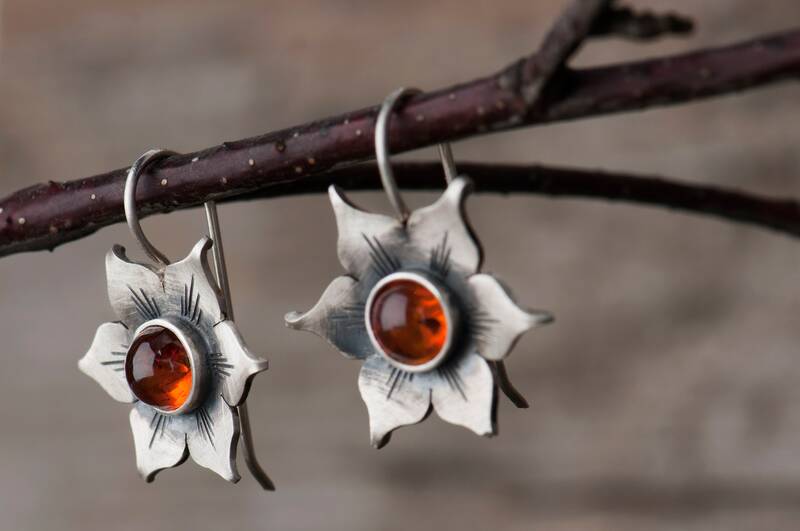 If you wish this amber earrings to be a gift just let me know - my jewelry boxes are already gift boxes, but I can make the package more special by adding gift card with a message from you and even ship it to the recipients front door. 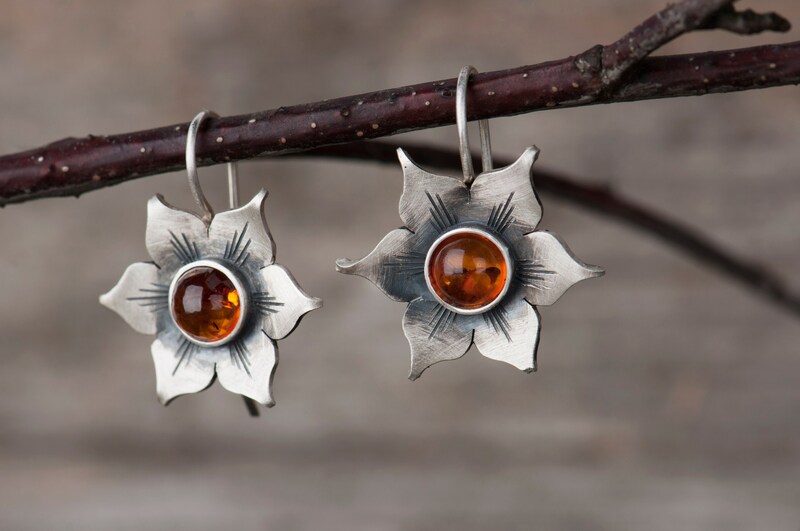 If you wish replace Baltic amber in this floral earrings with some other natural gemstone please send me a message. In my workshop I offer a lot of stones and I'm sure you will find something perfect for you. 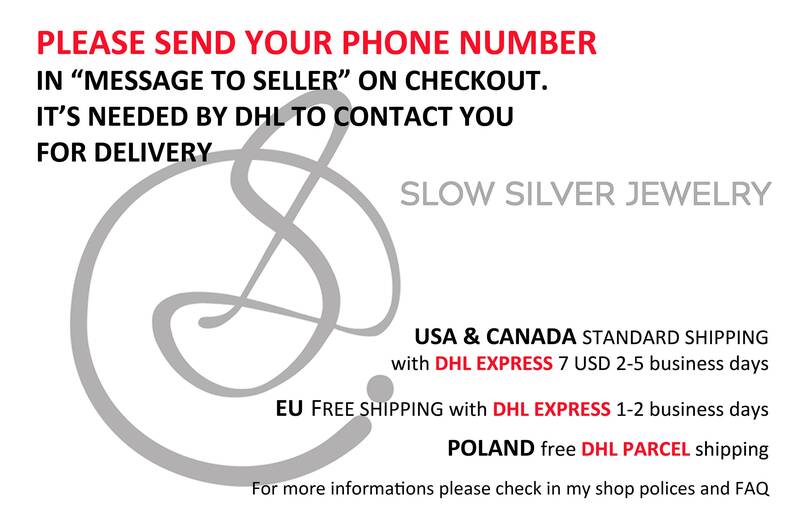 If you have a particular gemstone in your mind, please send me a message - in case I will not have the gem you prefer a that moment in my workshop I'll do my best to find and obtain it for you.